Siege is defined as: “the act or process of surrounding and attacking a fortified place in such a way as to isolate it from help and supplies, for the purpose of lessening the resistance of the defenders and thereby making capture possible” (Siege, 2004). This process was often very difficult as it involved containing a geographic area from all outside influence and could take several months or years to execute successfully. Not to mention that such a feat required great amounts of technology, resources, and endurance to prove effective. Despite all these issues, many civilizations throughout history have exploited this type of warfare, each having their own unique approach to it. So how did the Romans use this powerful and costly means of warfare, and were they effective in doing so? To answer this question, we must first consider the beginning. Until c.a. 400 BCE, The Romans generally leaned on the Greek ideas of siege, which primarily employed the simple blockade as a manner of conquering an enemy city. Despite the monetary costs, this method worked fairly well until enemy defense systems became nearly impossible to contain and breach. A prime example of this dilemma is modeled by The Siege of Veii in which the Romans were at a standstill with the Etruscans for anywhere from 7 to 10 years! (Nossov, 2005) The Romans were very practical in warfare and quickly began to seek more effective tactics and technology to speed up this grueling process. In accordance with this, Engineers were soon put on the task of developing better systems to counter the ever complicating web of enemy defense structures and strategies. The technological and tactical applications from such research would change military history forever (Meyer, 2012). By c.a. 200 BCE, the Roman’s had developed a strategy that would stand the test of time, the exhaustion and starvation of a city through constant disturbance. Although not remarkably wealthy in heavy artillery at this time, the Roman’s began to strategically divide armies into sub groups which would keep constant pressure on the enemy by taking turns invading and terrorizing, thus giving no time for the enemy to regroup (King, 1997). This allowed the military leaders to consider and execute new and previously improbable strategies with little disturbance from the preoccupied target. These techniques spiked in popularity during the Second Punic War and continued to grow until large scale throwing machines and other siege equipment become a regular part of the army under Julius Caesar (c.a. 50 BCE). All these new components created completely new ways of strategizing, but it came at a cost… money. Due to the cost of proper siege warfare, the development of common tricks called stratagems began to be used in order to shorten the siege process. These often involved deception of the opposing side from both the sieged and the besieged perspectives. A leader from the outside may use tactics such as surprise attacks, false retreats, exploitation of traitors, or the increase of inside population to deplete food faster (Nossov, 2005). The besieged had been known to build up or diminish the outside party’s morale by portraying abundance within to weaken hopes of starvation. These common tricks became retorts from one party to the other in an attempt to portray possession of the situation to hasten a victory. The use of such trickery clearly demonstrates the growing importance of diplomacy and deception as a war tactic in addition to the various Roman battle arrangements. Although not perfect in execution, Rome’s demonstration of strategic advancement and tactical innovation at this time period is remarkable. Siege warfare was in its infancy, but was quickly being established. Considering the intense tactical and technological nature of this form of battle, the Roman’s truly reached new heights that would assist in carrying them in their successes as an empire, and would ultimately be built upon in civilizations to come. Connolly, Peter. Greece and Rome at War. Frontline Books, 2012. Book. 28 March 2014. Contributors, Wikipedia. “Testudo Formation.” 4 March 2014. Wikipedia.org. Web. 28 March 2014. <http://en.wikipedia.org/wiki/Testudo_formation>. CristianChirita. Trajan’s Column. Cast. 28 March 2014. 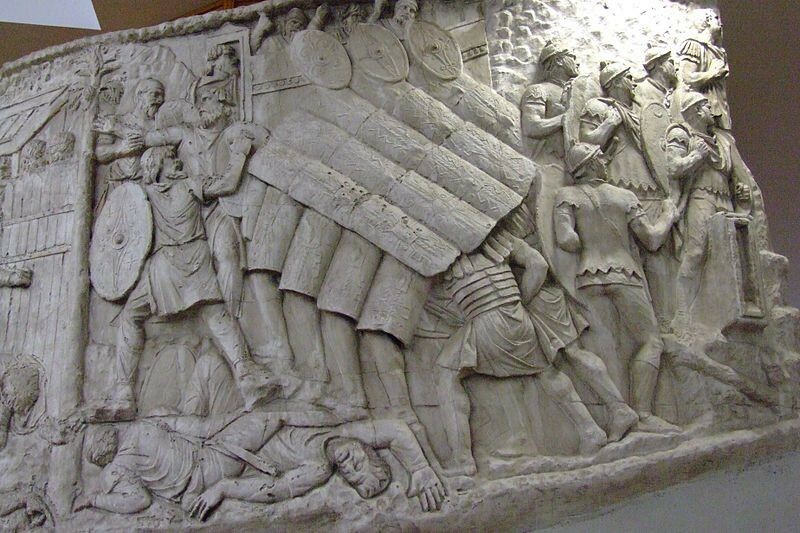 <http://en.wikipedia.org/wiki/File:Roman_turtle_formation_on_trajan_column.jpg>. King, Jay. “Starving a City Into Submission With Siege Tactics.” 1997. Jaysromanhistory.com. Web. 3 April 2014. <http://jaysromanhistory.com/romeweb/romarmy/art4.htm>. Meyer, Joseph, “Roman Siege Machinery and the Siege of Masada” (2012). 2012 AHS Capstone Projects.Paper 14. <http://digitalcommons.olin.edu/ahs_capstone_2012/14>. “siege.” Dictionary.com Unabridged. Random House, Inc. 27 Mar. 2014. <Dictionary.com http://dictionary.reference.com/browse/siege>. Simkin, John. 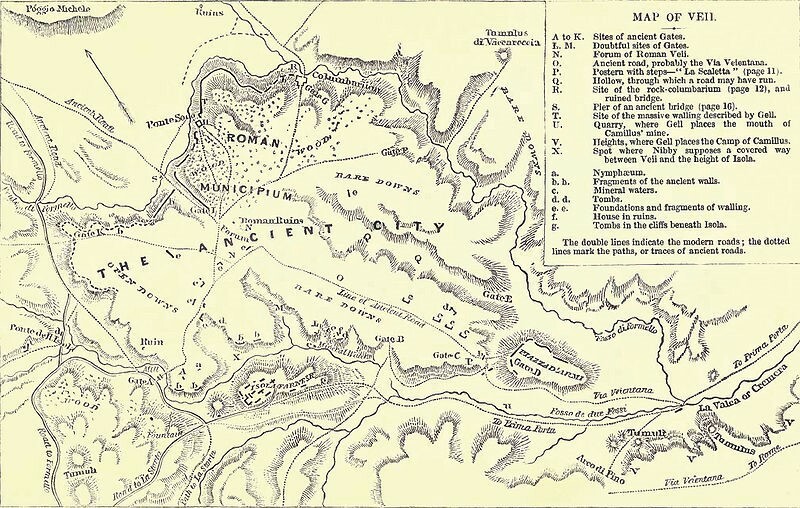 “Military Tactics of the Roman Army.” n.d. Spartacus Educational. Web. 28 March 2014. <http://www.spartacus.schoolnet.co.uk/ROMmilitary.htm#source>. The advancements made in siege warfare during medieval times set the stage for the basics of modern technology and tactics to emerge. The advanced engineering of the time period introduced basic concepts that still are used today. It was not always this fantastic, however. Initially the engines and tactics used were somewhat similar to that of the Roman Empire, however with the shift of siege warfare being inside of city walls about a castle instead of outside city walls about an entire city, things were rapidly changing. Throwing machinery and other artillery quickly became more effective, leaving the Roman technologies behind (Tarver, 1995), and eventually becoming the center of medieval siege-works. The use of these new engines caused major strategic alterations from both the offensive and defensive perspectives. So what were these machines, and what did they do? Some of the most prominent engines of the time period were the siege tower, trebuchet, cannon, and scaling ladder. The scaling ladder, although in existence long before the medieval times (actually one of the first siege devices recorded), had specific significance in the context of this time period. That is, it allowed infantry to rush and scale Castle walls quickly and effectively, causing all kinds of problems for the besieged. It should be noted that this technique was often dangerous due to the concentration of defense atop of castle walls, and thus was not used until the time was appropriate. That being said, siege ladders did yield some success, especially with its legs being wedged firmly into the ground with a height fit to be very tall compared to the wall being scaled. These precautions were done to make the ladders very difficult to get rid of once established (Nossov, 2005). Other siege ladders or siege towers were set up on wheels and platform making the transportation easier and more effective. It was imperative that infantry in an invasion involving a ladder were well trained and prepared to take on lots of incoming fire. This tactic was dangerous because the besieged often were prepared with boiling oils, sand, or water to ensure a difficult climb. The icon of medieval siege warfare is the throwing machines, particularly the Trebuchet. Although throwing engines had existed in the Roman times, it was not until this time period that they were widely used, and altered into a very versatile form. Before the final model of the Trebuchet was reached, Engineers experimented with various forms of force to set a projectile in motion. 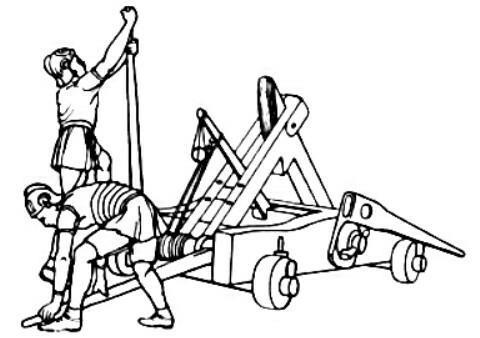 The Roman’s method utilized twisted rope, twine, or other forms of tension to allow projectile launch, and was referred to as the use of torsion (W. Contributors, 2014). The Early Medieval engineers turned from torsion, and experimented with different forms of force. One record suggested the use of wound rope and soldier manpower as a means of force. This, often unnoticed, engineering feat is referred to as the Traction Trebuchet, and clearly demonstrates the complexity of weapon engineering and the research that the engineers put into their war efforts (Tarver, 1995). All this research eventually, and inevitably, led to the creation of one of the greatest modern weapons, The Trebuchet. The Trebuchet functioned on a counterweight system meaning that the object was set into motion through a large weight opposing the projectile driven by gravity. This system offered far better rapid fire capabilities in contrast to its previous counterparts. The Chronicle of James the Conqueror includes a brief dialogue with a siege engine builder, Nicoloso (the builder) says, “… in eight days I will build for you a castle of wood, and I will make it move on wheels up to the place, as you know I made the `trebuchets’ move up at Mallorca.” (Agrait, 2013) These builders were clearly skilled and very effective craftsman. The other major advantage that the Trebuchet offered was that it could be managed and run by far fewer people than its main predecessor, The Perriere. It also had improved accuracy and power making it an obvious choice in most siege situations, being able to launch a 100 kilogram ball a distance of approximately 200 meters (Nossov, 2005). Balls were not the only projectile fired however, Trebuchets were known to launch plague infected bodies, pots full of snakes, and other devastating objects. By the late 12th Century, the Trebuchet was well spread throughout the continent. Modern weaponry had finally arrived. The next milestone in weapon engineering shows up around the 15th Century. That is, the development of gunpowder weaponry and specifically the cannon. Although this new technology’s capabilities were nowhere near as devastating as some of the other siege machinery of the time, the cannon immediately caught everyone’s attention, causing a great psychological stir. As an act of intimidation, large cannons were created as cannon size was considered to be of importance in its effect on the enemy, which clearly is not necessarily true (Nossov, 2005). The cannon was revolutionary, and not completely understood by its users, thus we see the cannon technicians often sheltering behind wooden shields when reloading to avoid injury! Other major problems were introduced as gunsmiths all made cannons in their own unique manner, meaning only specific cannonballs would fit your cannon. That being said, cannon bombardments became more and more effective with time as the technology advanced and became more palpable. Although the artillerymen running such weaponry were often noted to be cowards. The advancements made in the middle ages clearly indicate accelerated strides in technology and their important role in the progression of warfare. The weapons that ended this chapter in history would be the ones that would be refined into some of the weapons that we are familiar with today. Warfare quickly was becoming a matter of technology and intellectual advancement, which attacked the previous ideas of success lying in bravery and charm. Modern warfare was emerging. Agrait, Nicolas. “Chronicle of James the Conqueror, Siege of Burriana (1233).” 26 February 2013. Deremilitari.org. Web. 16 April 2014. <http://deremilitari.org/2013/02/siege-of-burriana-1233-according-to-the-chronicle-of-james-the-conqueror/>. ChrisO. “Trebuchet at Château des Baux, France.” 1 January 2005. Picture. 16 April 2014. 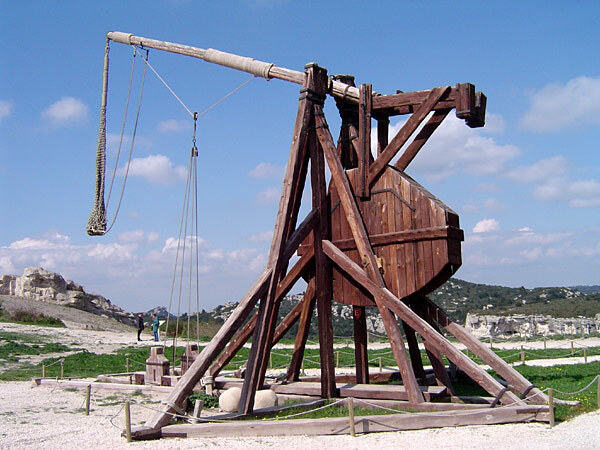 <http://en.wikipedia.org/wiki/File:Trebuchet.jpg>. Contributors, Wikipedia. “Trebuchet.” 15 April 2014. Wikipedia.org. Web. 15 April 2014. <http://en.wikipedia.org/wiki/Trebuchet>. Nossov, Konstantin. Ancient and Medieval Siege Weapons. The Lyons Press, 2005. Book. 3 April 2014. Tarver, W.T.S. “The Traction Trebuchet: A Reconstruction .” Technology and Culture. Vol. 36. The Johns Hopkins University Press, January 1995. Web. 3 April 2014. <http://www.jstor.org.hal.weber.edu:2200/stable/3106344>. Wyley, Stephen Francis. “Siege Warfare: The Art of Offence and Defence.” 7 January 2002. Angelfire.com. Web. 16 April 2014. <http://www.angelfire.com/wy/svenskildbiter/siege.html>. In the middle Ages, warfare often involved the surrounding and besieging of an enemy castle within their city walls. As I mentioned in previous blog posts, this type of siege-works was completely different from that experienced by the Roman’s in surrounding and starving an entire city, although they did share some commonalities. While Roman sieges were often very long and devastating, they usually did not involve the intense tactical and technological considerations required in breaching castle walls. This change, in part, may be attributed to the reduction of army sizes from Roman to Medieval times, which made sheer brute force against an enemy insufficient and no longer plausible. This is not to say that siege armies had few men, camps of cavalry and other infantry were always part of proper siege works (Morris, 1914), although they were not organized in the same manner that the Roman’s were. This is to say that when dealing with a compact and concentrated defense structure such as a castle, the attacker was often faced with many tactical problems that required their utmost concentration like never before. In any case, in order to understand castle siege better, it is vital to first consider the basic design and purpose of medieval castles. Although each castle was unique, they all shared one thing in common… they were nearly impossible to get inside of while under siege. A perfect example of such a structure is that of Château Gaillard, a famous medieval castle. This amazing fortification was build c.a. 1196 under the reign of Richard the Lionhearted of England, and was purposefully placed in a naturally defensible spot as to provide additional protection when confronted with a siege situation. These locational defense precautions taken by castle builders of the time period were appropriate especially as many castles were used as protection for a location of importance. For example, Château Gaillard overlooked the Seine River which was an important transport route at the time (Rigord, 1204). In accordance with these considerations, castle’s designs emphasized heavy fortification and defense as evident by the large walls and towers. Château Gaillard consisted of an outer and inner bailey (or outer and inner wall), along with several defense towers and ditches as mediums of defense (Hamill, 2012). In addition to all of that, Château Gaillard was also built on limestone as to further its sturdiness and protect it against potential undermining. The advanced design of this castle (and many other castles like it) clearly demonstrate that these structures were prepared for the worst, and that is exactly what they faced. In c.a. 1204, the famous besieging of the castle Château Gaillard took place between the kingdoms of France and England, closely following the death of King Richard. King Philip of France was in pursuit of control of Normandy, and Château Gaillard was a central part in his campaign in so doing. In preparation for this six month siege, Philip besieged and overtook several, lesser, castles around the area. When the time became appropriate, the French army finally began to move into position to besiege the English castle. Rigord, a medieval monk, documented the siege’s beginnings saying, “When he had recovered his strength and that of his army he laid siege to Castle Gaillard, in the month of September following. This was a strong fortress which King Richard had had constructed upon a high rock which dominated the Seine near the island of Andelys” (Rigord, 1204). Phillip quickly identified his options and began to contemplate what his next move would be. He concluded that he could either find a way to sneak through his enemy’s defenses by means of breaching, or to open the main gate. The latter of the two seemed less desirable if not impossible, so he and his men immediately began to plot a method of breaching. Soon, the French were executing common medieval siege tactics including the scaling of castle walls and undermining. With the use of siege towers and other Siege Engines, the French were soon pounding through the outer Bailey. These actions did not come without any adversity from the English. By the time the first bailey was decimated, the French had experienced great losses. Although the defender always has a clear advantage in these situations, all good siege artist know that quitting never is an option. As the French made it through the first Bailey, they quickly re-established themselves and began to work on the second, inner bailey. As I mentioned above, castles were designed to keep the enemy out, which kept the besieged in. This may seem irreverent, but all castle logistics carry some weight of importance to the invasion as a whole. This inability to allow people to leave castle quarters quickly became a major issue in this particular siege, as several local civilians ran to the fortified castle to survive from their burning villages (W. Contributors, 2014). How was this an issue? Well, before long these additional civilians began to greatly increase the consumption rate of the already limited supplies, making the situation within the castle walls even worse. While the defenders within castle tried to do everything possible to make any type of enemy breach impossible, persistence has a way of overcoming if it given enough time. Thus Phillip, now having lost many of his men, came up with a new idea that really encompasses the devotion nested in medieval castle siege tactics. He proposed that they climb up the garderobe, commonly known as a toilet chute. This may sound strange, and perhaps it is, but when an army is trying to breach enemy defenses nothing is too crazy or daring to do if it works… at least that is how they felt. This exploitation of the enemy’s architectural weakness ended up being significant enough that it cost the English the siege and King John was forced give into an inevitable surrender, as was the case for most defending parties of the time period. Alchin. “Attacking a Castle in the Middle Ages.” n.d. Lordsandladies.org. Web. 17 April 2014. <http://www.lordsandladies.org/attacking-a-castle-in-the-middle-ages.htm>. Contributors, Wikipedia. “Château Gaillard.” 7 April 2014. Wikipedia.org. Web. 17 April 2014. <http://en.wikipedia.org/wiki/Ch%C3%A2teau_Gaillard>. Hamill, John. “Chateau Gaillard.” 2012. Johnsmilitaryhistory.com. Web. 17 April 2014. <http://www.johnsmilitaryhistory.com/Gaillard.html>. “Medieval Warfare: How to Capture a Castle with Siegecraft.” June 12 2006. Historynet.com. Web. 17 April 2014. <http://www.historynet.com/medieval-warfare-how-to-capture-a-castle-with-siegecraft.htm>. Morris, J. E. “Mounted Infantry In Medieval Warfare.” Transactions of the Royal Historical Society (1914). Web. 17 April 2014. <http://www.jstor.org/discover/10.2307/3678449?uid=2&uid=4&sid=21103915858217>. Rigord. Deeds of Phillip Augustus. 1204. Web. 17 April 2014. 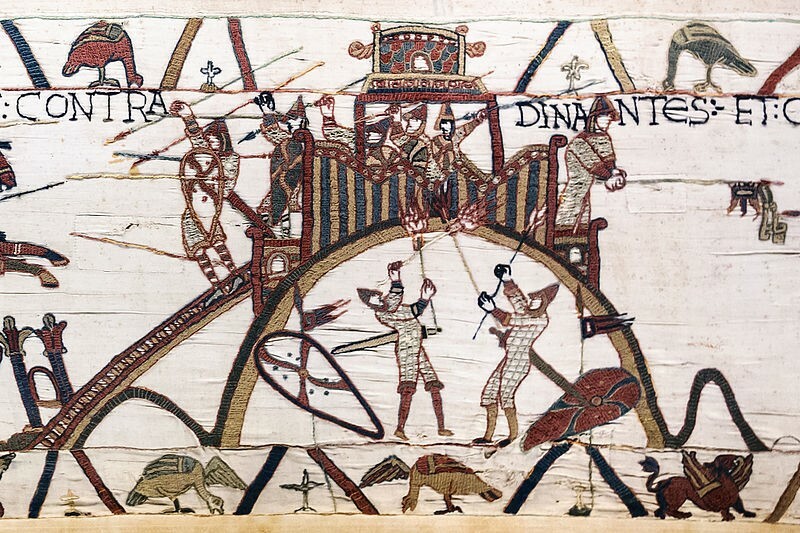 <http://deremilitari.org/2014/03/warfare-in-normandy-1201-1204-according-to-rigords-deeds-of-phillip-augustus/>. Viollet-le-Duc, Eugene. “A plan of Château-Gaillard.” 1856. Web. 17 April 2014. 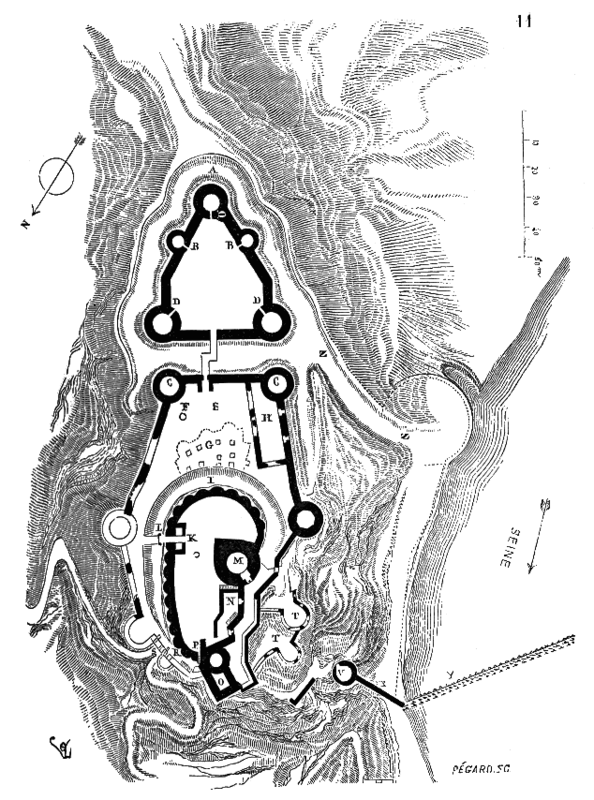 <http://en.wikipedia.org/wiki/File:Plan.Chateau.Gaillard.png>. The Trireme (triêrês or τριήρης – Three Rower) was an ancient battle ship primarily used by Mediterranean Empires including the Greeks, Persians, and Romans. This great technological advancement was first documented c. a. 535 BCE by Herodotus when he refers to a conflict between Samos and Egypt which states, “Polycrates selected those citizens who he suspected were most likely to revolt and sent them off in forty Triremes…” (Herodotus, III.44) Evolving from the Bireme, the Trireme quickly became the Greek Navy standard often replacing other ancient ships such as the much smaller Pentekonter which only consisted of 50 oarsmen contrasted to the Trireme’s approximate 170 oarsmen. (Wood, 2013) These massive ships served a major role in the Greek’s ability to hold off the Persians in The Battle of Salamis. To understand that role better, let’s first consider its design. The ships were constructed of available woods depending on location usually including: fir, Cedar, oak, and pine. These materials may have differed slightly from case to case as different areas constructed Triremes slightly different, but the basic design always remained constant. With the primary material being wood, the crews were required to beach the ships at night to ensure that the ship would not become waterlogged. The Trireme usually included around 200 men to operate, 170 of them being oarsmen, with a small crew and a few marines. (Trireme, 2014) This, again, indicates the importance of maneuverability as the Trireme required large quantities of man power to ram and sink enemy ships. In The Battle of Salamis (c.a. 480 BCE), the Athenians utilized the Trireme and constricted waters to hold off The Persians. The Interesting thing about this battle is that The Persians and Greeks fought one another with similar technologies, the main material difference between the two was the volume of the fleets. 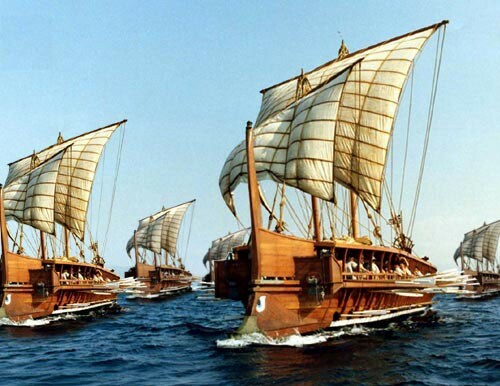 (Lendering, 2008) Herodotus recorded the Athenians to have gathered 371 Triremes (Herodotus VIII,46), while the number of Persian ships is disputed, it is approximated to have been around 1200 triremes. The Persians relied on the Greeks being overwhelmed by their massive fleet, however the Greeks utilized the narrow strait between the island and mainland to effectively hold off the incoming fleet as they rammed and attacked, with a beneficial advancing breeze on their side (Taylor, 2012). By considering the Trireme’s remarkable design, The Persian’s inability to swim, and the geography of Salamis emphasizing Greek battle tactics, it is clear to see how the Greeks succeeded in effectively defending themselves in this great naval siege.